In the context set by the Communication from the Commission on ‘a credible enlargement perspective for and enhanced EU engagement with the Western Balkans’, the Directorate General Internal Market, Industry, Entrepreneurship and SMEs (DG GROW) organised the EU-Western Balkans Cluster Policy Learning and Matchmaking Event on November 22nd and 23rd in Zagreb, Croatia. 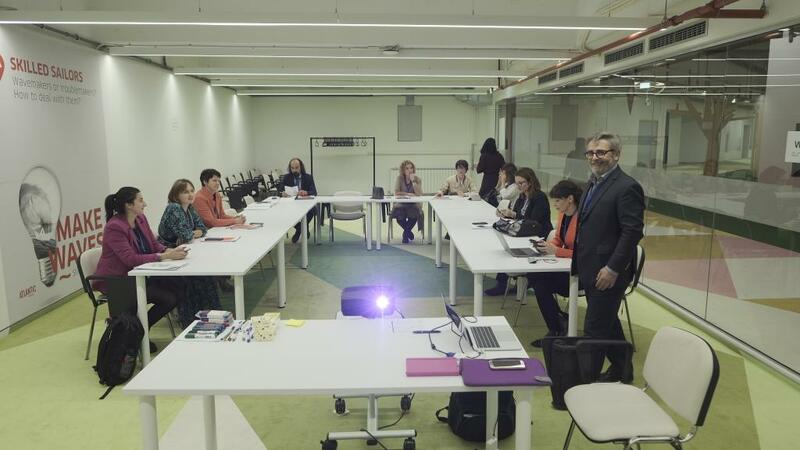 The event was facilitated by PwC in close collaboration with the European Cluster Collaboration Platform and was hosted by the Zagreb Innovation Centre. The cluster policy learning session gathered 10 policy makers from Serbia, Kosovo, North Macedonia and their counterparts from Austria, Croatia and Sweden. 65 cluster organisations from the Western Balkan countries, European Union countries, Ukraine and Turkey participated in the matchmaking part of the event. These clusters represent a large number of enterprises, and more than 4000 SMEs, in the field of Agro/ Food, IT, Manufacturing/ Automotive, Tourism/ Maritime, Textile/ Apparel/ Footwear, Pharmaceuticals/ Chemicals, and Energy. Cluster organisations managed to strike up for more than 230 successful matchmaking meetings and received practical advice on cluster management and governance, as well as on implementing successful cross-border and cross-sector collaborations. The cluster delegations had the opportunity to participate in three different site visits to Hub385, the Faculty of Agriculture of the University of Zagreb and the company Feroimpex. At the closing of the event the participating clusters reported already 6 agreed Memoranda of Understanding for cluster collaboration, 5 common grant applications and 22 potential common COSME cluster projects. These numbers are expected to further increase in the weeks and months to come. The European Commission is increasing its support to the Western Balkans in its effort to build smart specialisation strategies. We see cluster development and cluster specialisation as an opportunity to help in advancing economic reforms and more particularly, it will improve research and innovation policies and governance by strengthening existing institutional structure as well as developing interaction mechanism. Dr. Ulla Engelmann, Head of Unit for Advanced Technologies, Clusters, and Social Economy, DG GROW, European Commission, kicked off the first day by highlighting the specificity of the event, given the particular political context between the EU and the Western Balkan countries. Dr. Engelmann also presented an update on EU Cluster initiatives as well as an introduction to the future Joint Cluster Initiatives foreseen under the next Multiannual Financial Framework. State Secretary Mario Antonic, Ministry of the Economy, Enterprise and Small Business in Croatia, presented the structure of clusters in Croatia and more specifically the thirteen competitiveness clusters set up in the context of the implementation of the Croatian Smart Specialisation Strategies. State Secretary Antonic presented in detail the Cluster development Strategy 2011-2020 in Croatia and its role in developing and strengthening of clusters and industries. He presented different schemes and opportunities available for cluster organisations and companies willing to engage in smart specialisation initiatives. These include innovation network for industry, innovation councils and centre of competitiveness, among others. To support the cluster development in Croatia, the government is developing an innovation network for industry and establishing thematic innovation councils on the pillars from S3 strategy. We want to listen to the industry, to see what is happening on the field and what are the needs of the market. State Secretary Antonic also highlighted that the state support for competitiveness initiatives is growing, amounting for EUR 200 million for 2019. Openings were followed by an introduction to the Cluster Policy Learning session by Christophe Guichard, Team leader, Cluster Internationalisation, DG GROW, European Commission, who presented an overview of cluster policies and programmes across the EU. He stressed that clusters are a key enabler in facilitating cooperation between innovation eco-systems actors and in connecting them to global economies and global value chains. By doing so, clusters support the improvement of competitiveness in many European regions. Therefore, this event is a very good opportunity to accelerate the cooperation process across countries, between the EU and Western Balkan countries. He also illustrated that cluster firms cooperate more and innovate more than non-cluster firms. Indeed, cluster firms produce more added value and secure better jobs, achieve greater sales and exports, and generate higher growth rates. European countries do recognise the importance of clusters and therefore cluster support programmes exist in 20 EU Member States, at national level, but in some countries also at regional level (e.g. France and Germany) and even at interregional level (e.g. Germany and Poland). The main objective of European cluster support programmes is to strengthen cooperation amongst companies and between industry and science and research organisations. A second main objective is to support international activities, followed by a third main objective to increase competitiveness of Small and Medium sized Enterprises (SMEs). Other European cluster policy objectives are characteristic for priorities in their national or regional innovation eco-system, such as stimulating entrepreneurship, the creation of start-ups and spin-offs or support for scale-ups (e.g. Germany, France, Poland, Romania and Hungary). European clusters cover the whole spectrum of industrial activities from emerging technologies and industries to mature industries, covering social innovation and creative industries (e.g. Austria, Greece and Lithuania), and even the circular economy. Christophe Guichard also pointed out that, although government funding is very important, clusters are increasingly funded by membership fees (from SMEs) and fee-based services such as R&D project facilitation, and private funding sources, such as trusts, foundations, crowdfunding, NGOs and venture capital. In conclusion, European countries are convinced of the need for further investment in cluster support to promote their competitiveness. It can therefore be expected that European cluster programmes will be maintained and will become even more importance in the coming years. Regions across Europe need to adjust to global developments and challenges. We need to cooperate to be stronger in global competition, not only within EU, but also with our neighbour partners from the Western Balkans. Clusters can be a key enabler in your region in facilitating the cooperation between actors of innovation eco-systems and connecting them to global economy. The cluster policies part of the event started with an exchange of good practices in Cluster Policy Developments between European and Western Balkan countries. Herwig Meyer, Referent, Federal Ministry for Digital and Economic Affairs, Austria explained that more than 60 clusters and networks in Austria function as strategic platforms for the promotion of collaboration and competitiveness improvement of clusters. Austrian clusters see internationalisation as a new challenge. They now receive the support of the Austrian Ministry for Digital and Economic Affairs that harnesses and coordinates regional efforts, and creates links between European and international partners. The link between smart specialisation, clusters and business development was the main topic of the speech of Ewa Andersson, Programme manager, Agency for Economic and Regional Growth, Sweden. The Swedish government aims at developing a new policy to impact simultaneously clusters, companies, as well as regions. Through increased networking and cooperation, a better use of the established innovation support system is to be achieved. The policy will focus on improving the value added of companies through business development, business innovation and internationalisation. In addition, the policy will enhance the SME engagement in smart specialisation at regional level. In the panel discussion on the development of Clusters, Ankica Momcilovic, Senior Advisor, Sector for Development of Small and Medium Enterprises and Entrepreneurship, Ministry of Economy, Serbia, discussed the effects of the Serbian Cluster Development Programme since 2005. So far, the most positive effects were realised within the ICT sector and the programme has achieved some positive effects in strengthening cooperation between cluster members. Further policy actions will be needed to achieve significant results in the field of development of new products and innovations. Mrs. Momcilovic stressed that a changing approach of cluster policy in Serbia is needed to contribute to the quality of clustering in Serbia. Jasmina Majstoroska, PhD, Head of Unit, Industrial Policy & Competitiveness at Ministry of Economy, North Macedonia, analysed in the same panel discussion the cluster developments in North Macedonia. The key strategic documents related to industrial development and innovation, recognises clusters as an important instrument for strengthening the competitiveness based on networking and collaboration. Donors were the initiators of clustering in North Macedonia, but later on, it was supported with modest finances by the Government. This support continuously grows. Clusters developed their own path and some became recognised leaders in their sectors i.e. in ICT, Textile, Food processing and Metal and Electricity Industry. Key success factors of these clusters are a strong leadership and a good management of the cluster with vision and trust, sustainable and efficient services, sustainable financing through successful applications for support from donors and EU projects (IPA cross-border, COSME, regional projects, etc.). In order to make clusters sustainable, further cluster development support is needed. An essential part of this support is to promote and facilitate networking between clusters on a regional and EU level. Indeed, networking enables the sharing of best practices with Western Balkan clusters, and will lead to a better utilisation of various EU initiatives like smart specialisation, industrial modernisation, and digitisation. In Kosovo, donors also play a key role in cluster developments, as highlighted by Valbone Dushi, Head of Department of Industry, Ministry of Trade and Industry, Kosovo, in her contribution to the panel discussion. Clusters should be set-up by interested stakeholders from the private sector, knowledge institutes and governmental institutes together. Donors can be instrumental in supporting such clusters with i.e. the exchange of know-how, with providing experts and professionals, and with identifying best practices from other countries. The development of a cluster programme is in its first phase in Kosovo. Priority sectors for cluster development have been identified as metal, wood, textile and leather, ICT, food processing, and tourism sectors. The first successful result of cluster policy in Kosovo is the creation of the first official cluster for Metal Industry, Renewable Energy and Innovation Cluster of Kosovo – MIREICK, which was supported by the German Development Agency GIZ and has been operating for almost two years now. The next cluster to be created is in the wood sector, following a study of the value chains for the wood furniture and the wood building materials sub-sectors. Transnational Cluster Cooperation with the Western Balkans has reached its first successes. The GIVE (Green Ict deVElopment) partnership has managed to bring 8 partners from 6 countries with more than 300 SMEs, 39 universities and 32 other organisations. Its first B2B event will take place in Skopje on the 12th and 13th of December, which was announced by Anna Naydenova, Executive Director, ICT Cluster, Bulgaria, and Dritan Mezini, Cluster Manager, Albanian ICT Association. The GIVE partnership is a cluster project initiated by the 3B (Balkan Black Sea and Baltic) ICT Clusters Network, which achievements were illustrated by Peter Statev. The 3B ICT Clusters Network is a network which gathers clusters from Serbia, Montenegro, Kosovo, Albania, FYROM, Romania, Bulgaria and Latvia. The network gathers 16 members from 8 countries with over 750 SMEs, 40 universities and 85 other organisations. The members of the 3B ICT Clusters Network are closely working together to promote regional economic, to gain more visibility on European and global markets, transfer technology and R&D knowledge and attract investment and find new partners. In Croatia, one of the most successful clusters is the Croatian Wood Cluster, which has been functional for 15 years. Founder and Cluster Manager Marijan Kavran, clarified the importance of the cluster for the Croatian economy, as the cluster represents 10% of the Croatian GDP and its members have in total 53,000 employees. In Croatia, there are two kinds of clusters: national clusters of competitiveness, and operative clusters. The Croatian Wood Cluster is an example of an operational cluster. Its equivalent national cluster is the Croatian Cluster of Wood Working Industry, of which Marijan Kavran is the president. 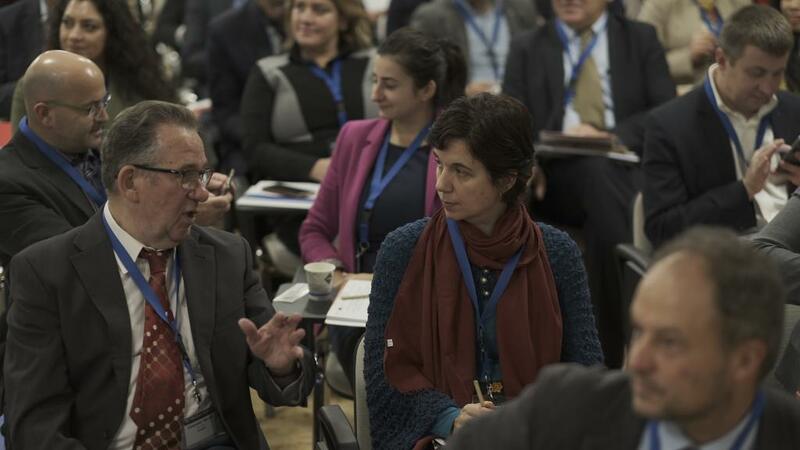 The Croatian Wood Cluster organises a variety of events, such as the Adriatic Wood Days with participants mainly from South East Europe, and with keynote speakers from Finland, Germany and Italy. Members of Croatian parliament are invited to the cluster meetings and every year the cluster organises four conferences in Brussels to which members of the European parliament are invited. The goals of these activities are to encourage research, knowledge and technology transfer, to stimulate innovation in forestry and the wood industry and fostering investments. The Croatian Wood Cluster is also a member of the European Bioenergy Association, the European Biomass Association and the Confederation of European Woodworking Industries (CEI-BOIS). The Croatian Wood Cluster is already cooperating with Austrian, Slovenian and Bosnian clusters and is actively looking to collaborate with other clusters in South East Europe. Nirvana Kapitan Butkovic, one of the two coordinators of Priority Area 8 on Competitiveness of Enterprises and Cluster Development of the EU Strategy for the Danube Region, announced the upcoming Danube Competitiveness in Practice events and a white paper on the strengthening of capacities of clusters. One of the cross-clustering partnerships financed as part of the EU Strategy for the Danube Region is the DanubeBioValNet network, a value added network in the Danube Region enabling the transition from a fossil-based to a bio-based economy. Svetlin Ranguelov, CEO of the Association of Business Clusters in Bulgaria explained that DanubeBioValNet develops a joint bio-based cluster policy strategy with 15 partners from 10 countries, including the Western Balkan countries Serbia, Montenegro and Bosnia and Herzegovina. The mapping of value chains in Phytopharma, Bio-based Packaging and Eco-Construction were presented by Zorica Maric, Project Manager of the Innovation Centre of the Faculty of Mechanical Engineering of the University of Belgrade, Heidrun Hochreiter, Manager of the Food Cluster of Business Upper Austria and Darja Osvald of the Poly4Eml cluster from Slovenia. 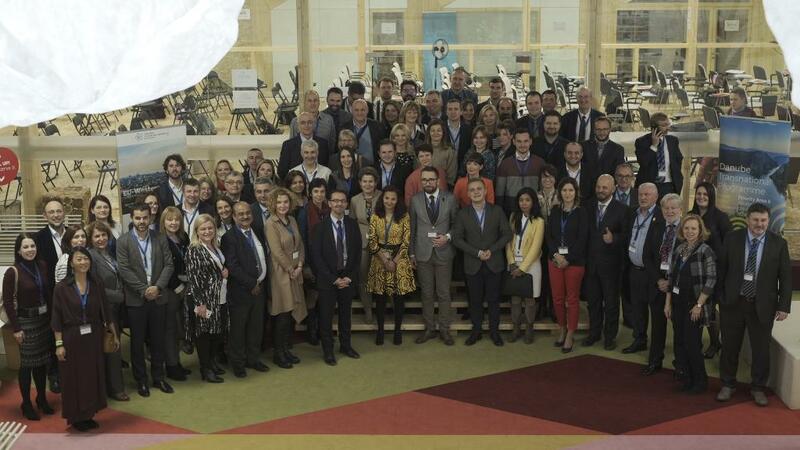 The event participants were invited to join the value chains through upcoming event in Austria, Romania, Croatia, Slovakia and Slovenia and Bulgaria. A special session was organised by Dr. Ales Gnamus of the Joint Research Centre on the value of Smart Specialisation and Innovation Ecosystems for cluster development in general and specifically for the entrepreneurial discovery process. In smart specialisation, clusters can play a strategic role in better matching research and innovation strengths with business needs. In this process, businesses are best placed to lead the identification of new opportunities for growth in a rapidly globalising economy, which further inspire public policies on innovation. Within the COSME framework, the “European Strategic Cluster Partnerships for smart specialisation investments” (ESCP-S3) has been set-up, gathering nine EU Cluster Partnerships and involving 57 partners from 19 European countries. It has been active since the autumn of 2018. In the smart specialisation session, Zoran Aralica, senior research fellow of the Faculty of Economics and Business, University of Zagreb, presented an analysis of the development of 13 competitiveness clusters in Croatia, which is a direct result of the adoption of smart specialisation strategy in Croatia in 2016. His conclusion is that the programme has not yet achieved its intended ten different objectives to link private, scientific-research and public institutions, and thereby increase the competitiveness of the Croatian economy. His advice is that the Croatian Competitiveness Clusters should limit the number of objectives from ten to six objectives and concentrate on lobbying activities, innovation, market and sector analyses, infrastructure and standards, networks and collaboration and training. Peter Wostner, Head of the Smart Specilisation Team in Slovenia, shared his experience of Slovenia in adopting the smart specialisation. He pointed out that choosing priorities has been a complicated process as it involves many stakeholders, and should be done at government level. He referred to the important issue of ‘building trust’ between stakeholders, as earlier in this event raised by Ewa Andersson in her exposure of the Swedish pilot project for smart specialisation. He also made it clear that internationalisation of the Slovenian economy is only possible with the help of clusters, because the transaction costs for individual companies is too high to raise to international platforms. Ankica Momcilovic, Senior Advisor, Sector for Development of Small and Medium Enterprises and Entrepreneurship, Ministry of Economy, Serbia, together with Mihaly Csaki, Cluster manager of Ecopanonia and Milan Solaja, Cluster Manager of the Vojvodina ICT cluster presented the Smart Specialisation and the Entrepreneurial Discovery Process in Serbia. For Serbia drafting a new industrial policy is a condition for closing chapter 20 of the accession negotiations with the European Union. The new industrial policy aims at growth and should be smart, and should bring the Serbian economy away from building upon a cheap labour base and bring it to technological intensive and value added activities. The Serbian government started with preparing a smart specialisation strategy and will use the findings of the Entrepreneurial Discovery Process to develop an industrial policy, which has led to dialogues with the private sector and academia already. The Vojvodina ICT Cluster illustrated how it got involved in the strategy development through its former IPA project Interris, which created a Regional Innovation Strategy. And the Ecopanonia cluster got involved through the the Innovation Camp Belgrade, which took place at the end of 2017. The strategy development process is expected to lead to a first draft of the smart specialisation strategy for Serbia in the first half of 2019. Alain Tubiana, Cluster management expert, Head of the master programme in cluster management, University of Strasbourg conducted twice a special session on Cluster Management. He discussed with participants the business models, value added services and the path to sustainability of clusters. He provided case studies of clusters who have reached sustainability and built adding value services to their members. He provide 6 key success factors for cluster management. Clusters should reach a critical mass to be able to generate sufficient income and to generate social capital. To do so, their strategy and business model should be aligned. That can be reached by setting up a participative governance, in which members participate in the cluster decision making. In close coordination with the members, the cluster should set up services which add value to their members. These services have to be managed by a skilled management team, which means that there should be a regular assessment on the cluster management needs and the available skills. The cluster management should also be able to develop anchor projects, which can be used in the cluster marketing. Marc Pattinson provided insights in the achievements and the working of the European Cluster Collaboration Platform. The event is expected to result in cooperation agreements and long-term partnerships as well as further collaboration on cross-sectors and industries between clusters from the EU and clusters from the Western Balkan countries. The second day was opened by Luisa Prista, Head of Department A, COSME, H2020 SME and EMFF, Executive Agency for Small and Medium-sized Enterprises (EASME). She gave an overview of the role cluster development has in the COSME programme and the Cluster Excellence Programme in 2018. Cluster development is also important for other European Commission activities, such as INNOSUP1 within H2020, the SME Instrument and the European Innovation Council, with the latter starting as a pilot in 2019. Western Balkans is a region full of potential and opportunities for SMEs. In these circumstances, SMEs participating in clusters are more innovative. They apply for more patents, register more trademarks, cooperate and export more than SMEs that are not a part of a cluster. The main activity during the second day was the matchmaking between the 65 clusters, leading to more than 230 successful matchmaking meetings. The event was closed with three parallel site visits to Hub385, the Faculty of Agriculture of the University of Zagreb and the company Feroimpex.